In our last blog, we shared three amazing locations that are often passed over by tourists. These are great vacation spots, because you don’t have to contend with the crowds. Today, we have three last locations for you to consider! Not only is this beautiful Russian city three hours from Finland, it is located on almost 300 islands. It is famous for drawbridges and is home to one of the world’s best art collections. Enjoy art by Picasso, Matisse, and Monet. If you’re there between May and July, it doesn’t get dark at night, a time called the White Nights. If you love beaches and privacy, the Marshall Islands are for you. They don’t have many traditional tourist attractions, but if beaches, diving and snorkeling, and rich culture are enough for you, you will love the Marshall Islands. There are cozy bed and breakfasts and boats to take you to remote islands. If you need to leave the rest of the world behind, these islands between Hawaii and the Philippines are the place for you. This city is the home of Cinco de Mayo and some of Mexico’s most renowned food, but tourists keep going other places. This means that it can belong entirely to you! Any history buff will love the colonial buildings, Moorish domes, and Baroque towers. Art enthusiasts will enjoy the Artists’ Quarter, where you can watch artists at work and buy their products. Whether you are a travel nerd or you haven’t been on a vacation in five years, we are here to help you. We love listening to our clients’ dream vacations and then making them happen. 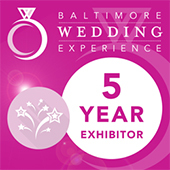 Contact our Maryland office today for destination weddings and more!